Spend your holiday at the Myhinranta! 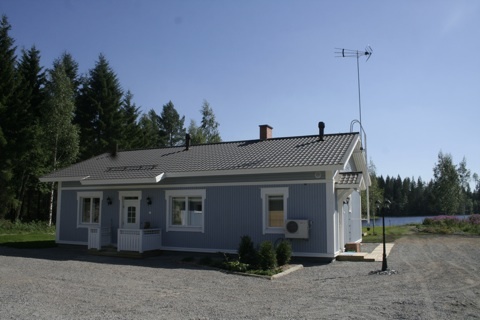 Myhinranta is a holiday apartment in Rautalampi, Northern Savo. It is located a very close to Southern Konnevesi National Park. Click images to see them larger! We offer high quality accommodation in a peaceful countryside holiday apartment. 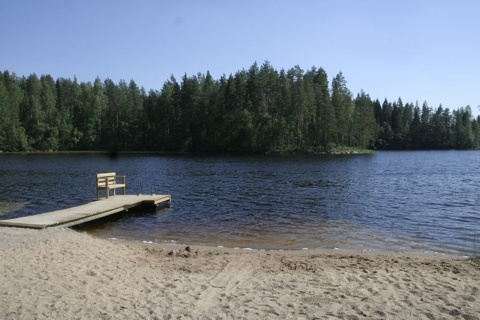 Courtyard is wide, and sandy Lake Myhinjärvi beach is particularly suitable for families with children. 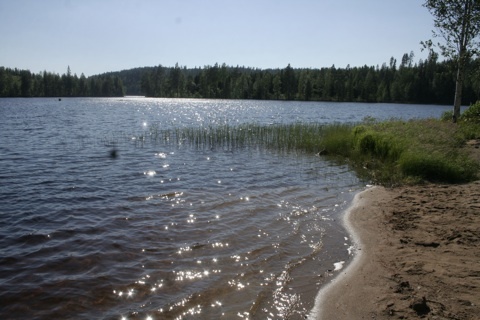 Lake Myhinjärvi has clear water, because its catchment area has very little agriculture or peat extraction areas. Natural beauty and varied, rocky landscapes have attracted people to live here already during the Stone Age - signs of the camp sites and relics have been found quite holiday apartment nearby.